In May 1959, Lincoln Center broke ground as the country's first modern performing arts center. Now home to eleven distinguished constituent organizations, Lincoln Center continues to strive to represent the highest standards of excellence in opera, symphonic and chamber music, theater, jazz, world music, dance, film, arts education, and community engagement. May 2019 marks six decades since Lincoln Center's debut, and we are thrilled to renew our commitment to support a dynamic and inviting campus for the next generation. Join us in celebrating 60 years of Lincoln Center. With free live music, dance presentations, art-making, film programming, tours, and more, there’s something for all ages at this very special block party that stretches across Lincoln Center's iconic campus. Help us mark this milestone moment in style at the 60th Anniversary Diamond Jubilee Gala. This festive fundraiser will honor families who have had a significant impact on Lincoln Center over the past six decades. 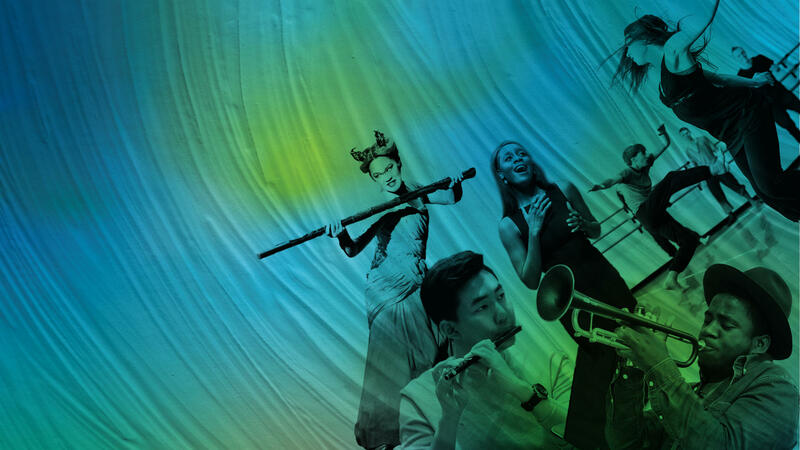 Launching May 4, 2019, Lincoln Center will celebrate our 60th Anniversary with newly commissioned performances, visual art exhibitions, family programming, outdoor performances, and free public events throughout the summer. In addition, special anniversary events will highlight the excellence that is defined by Lincoln Center. Special events will not only highlight the impact Lincoln Center has had – and continues to have – on the global arts landscape but will look ahead to the next generation of artists, audiences, and community as well. Here at Lincoln Center, 2019 will mark a truly special year, artistically and physically. Consider this a personal invitation to mark your calendars. Thank you for making everything we do possible—not just on our stages, but in communities and classrooms throughout New York.